PHOENIX—On Saturday evening, September 14th, Arizona Wilderness Coalition staff, volunteers, and partners accepted the top tier Crescordia Award in the Stewardship Category at Arizona Forward’s Environmental Excellence Award Gala in Scottsdale. In partnership with Salt River Project (SRP) for the 12th consecutive year, Arizona Forward hosts the awards evening to acknowledge those projects around Arizona that have set a high standard of achievement in environmental and conservation awareness. 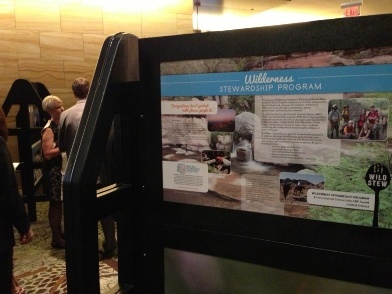 AWC’s Wilderness Stewardship Program was nominated in the central Arizona category for the SRP award. “This is a significant achievement for a small organization like AWC, and an incredible honor for so many of our volunteers who devote entire weekends out in the field with us, hiking, sweating, and learning how to take care of these vast wild areas in a way that leaves them better off,” says Sam Frank, AWC’s Central Arizona Director who runs the program and accepted the award on behalf of the Arizona Wilderness Coalition. 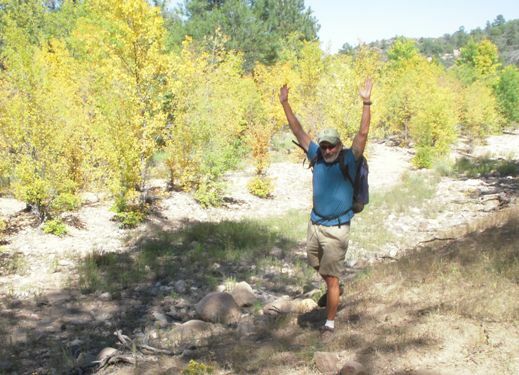 Launched in 2010 on the Prescott National Forest, AWC’s Wilderness Stewardship Program—affectionately dubbed ‘Wild Stew’— is a volunteer-based program to assist land management agencies with activities to maintain, protect, and restore the character of wilderness areas on Arizona’s federal public lands. The program began guiding groups of volunteers into some of Arizona’s most spectacular wilderness areas—Cedar Bench, Pine Mountain, Castle Creek, and Sycamore Canyon to name a few—to begin monitoring the ecological and recreational conditions of these wild areas. Wild Stew volunteers are specially-trained and empowered to trek into and monitor Arizona’s 90 wilderness areas on their own time—collecting invaluable data that the U.S. Forest Service has limited staff and fiscal resources to accomplish. Training includes invasive plant identification, recreation site monitoring protocols, trail and trailhead maintenance, backcountry preparedness, and more. Today, AWC has trained approximately 55 individual stewards to begin monitoring at wilderness areas on the Prescott, Coconino, Coronado and Tonto National Forests. Long-term goals are to cover all six of Arizona’s national forests and expand the program onto Bureau of Land Management lands. Playing a significant role in the U.S. Forest Service’s ambitious 10-Year Wilderness Stewardship Challenge, AWC’s Wild Stew data is used to help the Forest Service improve management decisions, enhance ecological health, and maintain the wilderness character of each area—effectively raising the ranking of Arizona’s wilderness conditions on a nationwide scale. AWC volunteer stewards have worked in 25 wilderness areas (some areas multiple times), monitored over 300 miles of trails and 50 miles of waterways, installed trail signs, removed multiple acres of non-native plants, and involved more than 250 volunteers in various projects for a total of more than 4,300 volunteer hours. The monetary equivalent of all this volunteer work is $96,000, or approximately two full-time employees being paid $25 per hour. Joining AWC staff and longtime supporters and volunteers were partners from Backcountry Horsemen of Central Arizona, Tonto National Forest Supervisor Neil Bosworth, and Scott Hulbert with Engelman Berger PC, a Phoenix-based law firm that supports the Stewardship program. AWC's Wild Stew program is also generously supported by the National Forest Foundation, the Yavapai County Resource Advisory Council, and numerous other grant-makers. 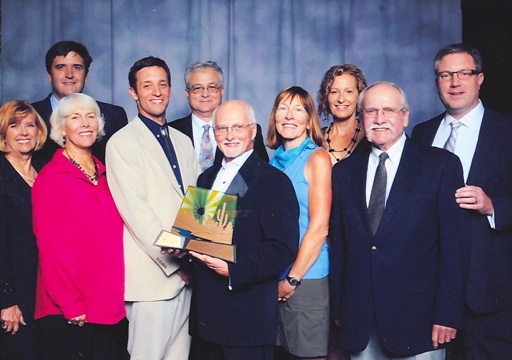 Known as the “Academy Awards” of the environmental community, the Environmental Excellence Awards evening is Arizona’s oldest and most prominent competition of its kind. It spotlights distinguished projects throughout Arizona that demonstrate a high level of environmental commitment and contribute to the region’s overall sustainability.